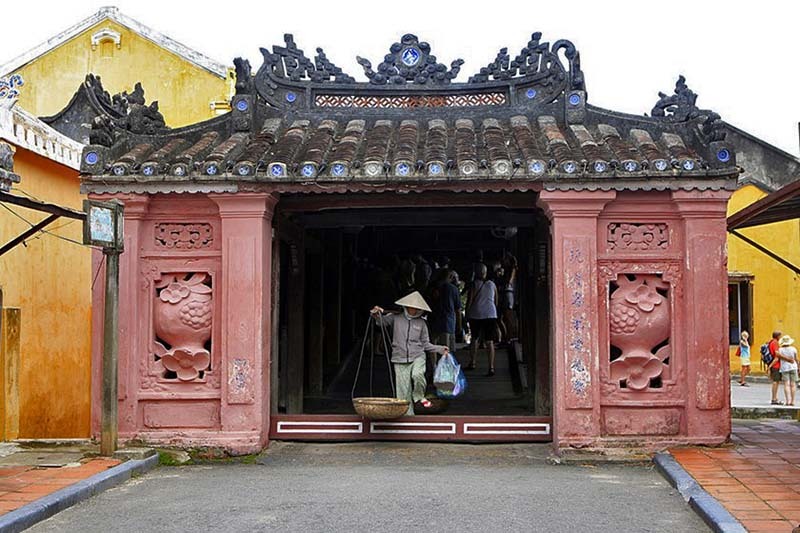 Hoi An, to most of the tourists, is considered to be so famous whenever being mentioned thanks to its ancient beauty together with the tranquil atmosphere and friendly people there. 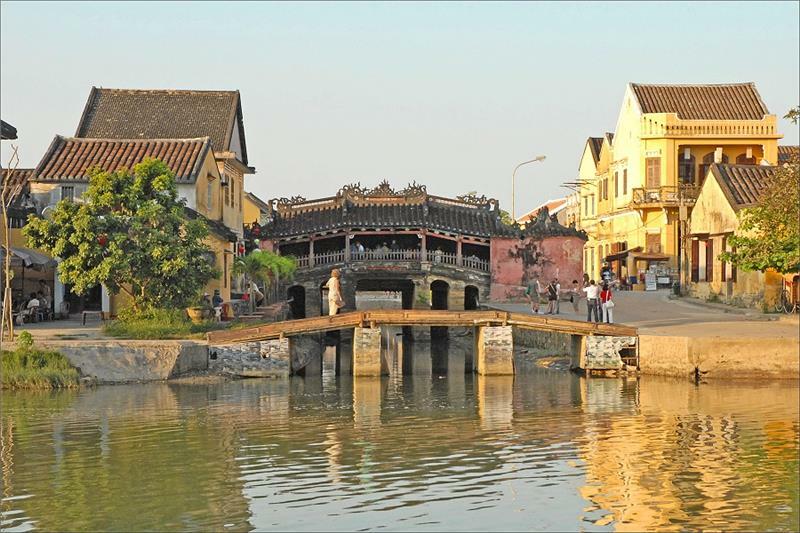 Coming to Hoi An, visitors must explore Hoi An old quarter since it’s the iconic feature of Hoi An town. Reaching deeper inside this peaceful town is the Japanese covered bridge. People often say that if you didn’t visit special Japanese bridge temple once you already went to Hoi An, it’s like you have never come here! It’s a bridge that connects the 2 major streets of Hoi An Old Quarter: Nguyen Thi Minh Khai and Tran Phu Street, looking over the peaceful Thu Bon River. Tracing back to many years ago, the Japanese Covered Bridge was built with an intention of being as a samurai sword to deter the monster Mamazu, which has its head in India, its tail in Japan and its back in Vietnam, from causing earthquakes and other calamities whenever it moves. It’s also because of the historical legend that people living there called it The Japanese Bridge. In fact, the bridge was constructed by the Japanese trading community in 1593 to exchange and do commercial trading with Chinese area on the other side of a small stream. It has another name which is Chua Cau (Bridge Pagoda) because from the outside, it’s actually a just a bridge to go pass to the other side of the river. However, when entering the bridge, you will see a pagoda, looks like a temple in the north of the bridge. That’s why we have the name Chua Cau for it. To get there, it’s much easier than you thought. 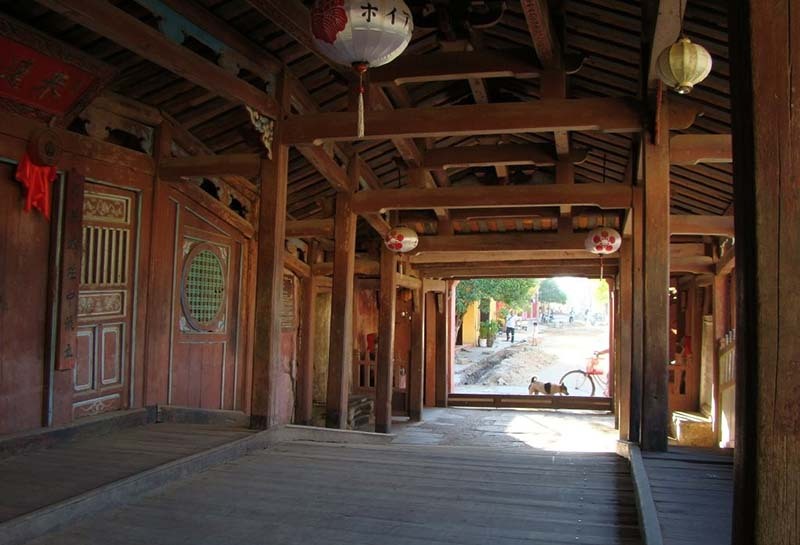 Located in the heart of Hoi An Old Quarter, the Japanese Bridge is a perfect place for you to walk. Of course you can hire a bicycle and ride around Hoi An Town to discover a wonderful moment that can be hardly seen from those crowded busy cities and you won’t be worried about the traffic jam since the town is so small and quiet. 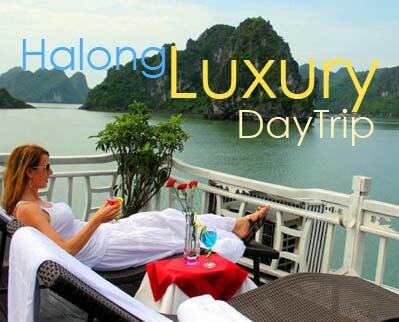 You can stay in a hotel in Hoi An old town with the price of over 500.000 VND per night to reach it closer. The bridge was constructed with a roof so that it could be used as a shelter from rain and sun. Through the period of improvement and reconstruction by Vietnamese people, it has lost the Japanese design and based on the style of antique Vietnamese dynasty. The structure was started in 1593 which is year of the monkey and finished in 1595, year of the dog, there are two statues of both animal placed at both ends of the bridge. They are, according to Japanese culture, symbols of the guardians of sacredness and luck. Inside the bridge, although it is a pagoda, there is not any statue of Buddha but a temple of the northern God Tran Vo Bac De instead who is considered the God of Weather. He controls all kinds of climate changes and natural calamities, so the sailors both worship and fear him. Standing on the Japanese bridge, you will have a chance to enjoy the tranquility and fresh atmosphere of Hoi An town as well as watch the river flowing slightly as if everything is in its slow motion. In addition, at the other end of the bridge, visitors may find several interesting galleries with those ancient souvenirs. One more thing you will find interesting is that such a place can’t be ignore for those who want to take photos, with a charming historical background and amazing red faded color. The landscape will become much more elegant at night with the help of the lighting. The Japanese Bridge has been an invaluable property and the symbol of Hoi An as well as a iconic structure to all of warmly kind people living there. Once visiting Hoi An Old Quarter and the Japanese Bridge, you would feel the reason why it’s an icon of Hoi An and listed on the 20.000 VND money bill of Vietnam. 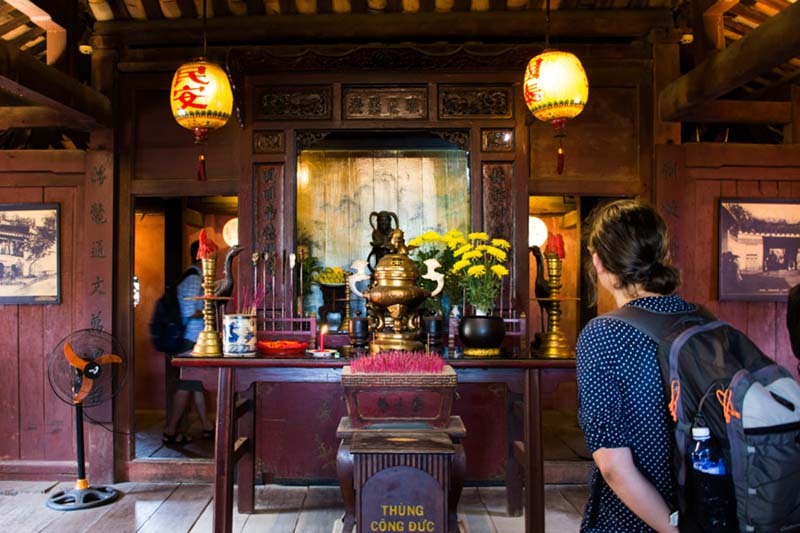 If you are kind of a person who likes simplicity and tranquility, you must not ignore this place on your Hoi An walking tour.